I just sat down to write a long and thoughtful post about the headlines. Obviously, the country and the world is having a difficult week. 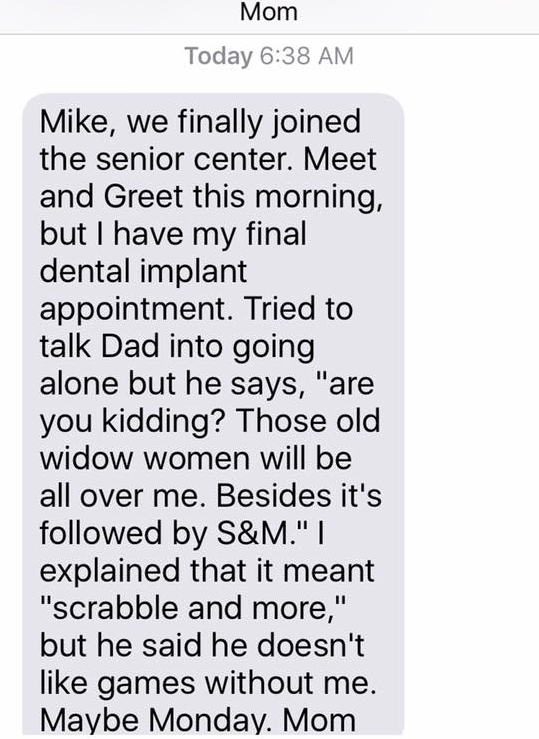 But then, I noticed this text from my mother that came earlier this morning. Clearly, I need to have a chat with my father. I’ll circle back later with something long and thoughtful.